Adjustable pattern plug-flow air supply from up to 3 m discharge height in industrial applications for spot cooling/heating and to purge contaminants from work areas. The SMARTEMP Cylindrical Plug-flow Diffuser, type CP-AD, is a cylindrical displacement diffuser used in industrial applications, from floor level up to 5 m discharge height, to produce a stable plug-flow air pattern radiating from the diffuser that purges contaminants from the path of the diffuser air stream in a piston-like fashion (rather than removing these by dilution, as would occur with mixed airflow). The upward/downward direction of discharge is adjustable (optionally by electric actuator). Supply air, at a supply-to-room temperature differential of up to -10 K in cooling mode (restricted to a minimum supply air temperature of 18°C if the diffuser is at floor level) and up to +10 K in heating mode, is discharged from a perforated cylindrical discharge face made of galvanised steel that may be optionally be powder coated. Air is discharged from the perforated face with minimal mixing, to produce a relatively low velocity plug-flow air stream. Spot cooling/heating and contaminant purging occur in the airstream path. Additionally, a low level occupancy microclimate of enhanced indoor air quality is created in the vicinity of the diffuser, in which convective currents from heat sources such as occupants, equipment, machinery and lights rise upwards, drawing in replenishment air from the occupancy microclimate, to envelope the heat sources in cooler, high quality air. 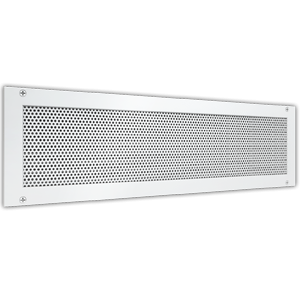 Low turbulence substantially uni-directional airflow to sweep away contaminants and provides spot cooling/heating. May be suspended above workspace. May be located adjacent to a wall. May be located on the floor. Air pattern adjustment from slightly inclined to vertically downwards, for draught-free cooling and effective heating. Manual air pattern direction adjustment. Galvanised or powder coated metal finish. Low-turbulence plug-flow purges contaminants for enhanced IAQ. 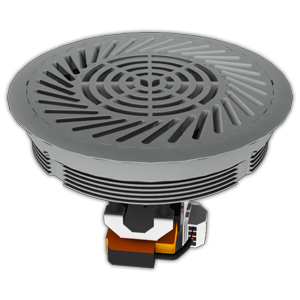 The SMARTEMP Cylindrical Plug-flow Diffuser, CP-AD, is suitable for industrial applications, from floor level up to 3 m discharge height, to produce a stable plug-flow air pattern from the diffuser to purge contaminants from the work space. The upward/downward direction of discharge pattern is adjustable (optionally by electric actuator or by means of a supply-to-room temperature differential self-acting thermal wax-bulb). 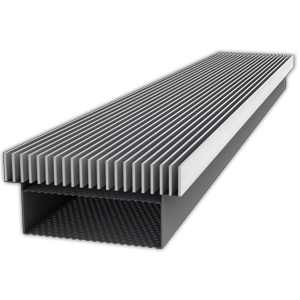 Suitable for ∆Tsupply-room ≥ -10 K when cooling and ≤ +10 K when heating, and Tsupply ≥ 18°C if the diffuser is located at or near floor level. 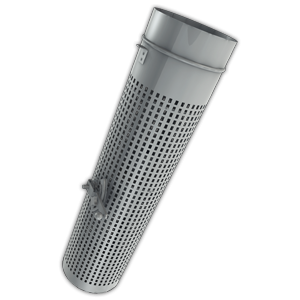 The perforated cylindrical discharge face is made of galvanised steel that may optionally be powder coated. Air is discharged from the perforated face with minimal mixing to produce a relatively low velocity plug-flow air stream. 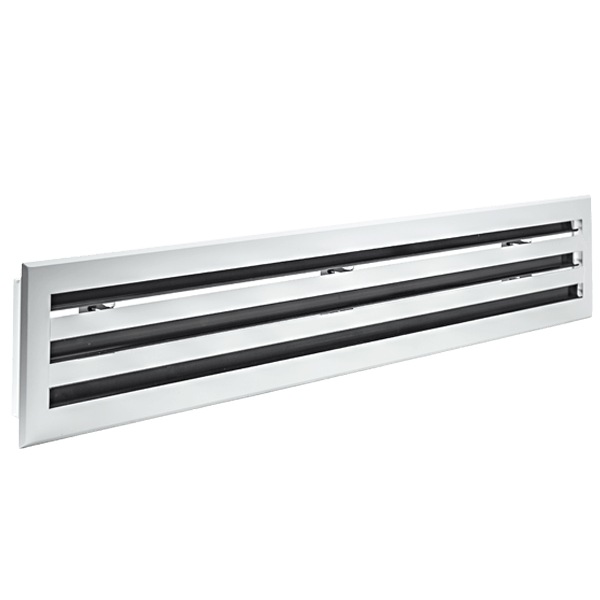 Spot cooling/heating and contaminant purging occur in the airstream primary path. When cooling, a low level occupancy microclimate of higher indoor air quality is created in the vicinity of the diffuser, in which convective currents from heat sources such as occupants, equipment, machinery and lights rise upwards. This draws in higher quality replenishment air from the occupancy microclimate, to envelope the heat sources in cooler, high quality air. Heat and light contaminants stratify at a high level in concentrated form, to be removed from the space. Where heavy contaminants (such as particles) also need to be purged, it is recommended that these by removed at a low level from the space. Due to stratification of heat, relatively large supply-to-return temperature differentials are achievable – dependent on ceiling height – despite the relatively high supply air temperature, thereby minimising fan energy requirements. Energy savings also accrue from the extended free cooling range often achieved by the elevated supply air temperature, as well as from the potential to reduce outdoor airflow rates due to the improved ventilation effectiveness of the plug-flow industrial displacement air pattern. Airflow pattern adjustment (upwards for cooling; downwards for heating) by means of electric actuator with 24V AC/DC power supply and 2-10 V analogue control input. Well suited to supply-to-room temperature differential control for optimised cooling and heating performance, providing effective downward heat penetration and draught-free operation year round. Self-acting wax-bulb up/down discharge direction adjustment – no external power source or controls required. Cool supply air is directed upwards providing draught-free air motion, and warm supply air is directed downwards for effective penetration of heat to a low level. The discharge direction bias is manually adjustable.